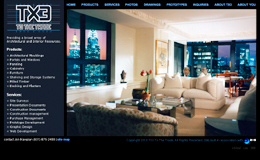 TX3 Interactive is the only WebDev team to evolve from the design and construction industry. In today's global environment where mobility and device specific apps are a necessity, we oversee all types of digital development in the same thorough and logical manner that has become a hallmark of the TX3 process. Pictured is a Sprint Evo powered by Google's Android 2.1 operating system. 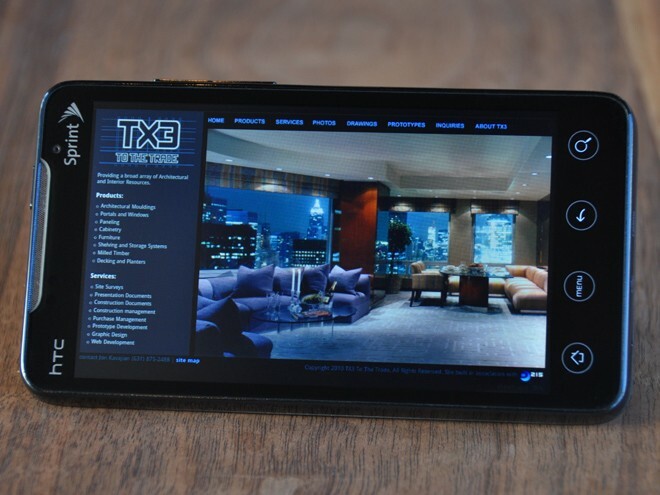 This "smartphone" is shown displaying the actual landing page of TX3's website delivered via 4G wireless. By design, the manner in which the website functions on this mobile device parallels PC based usage.